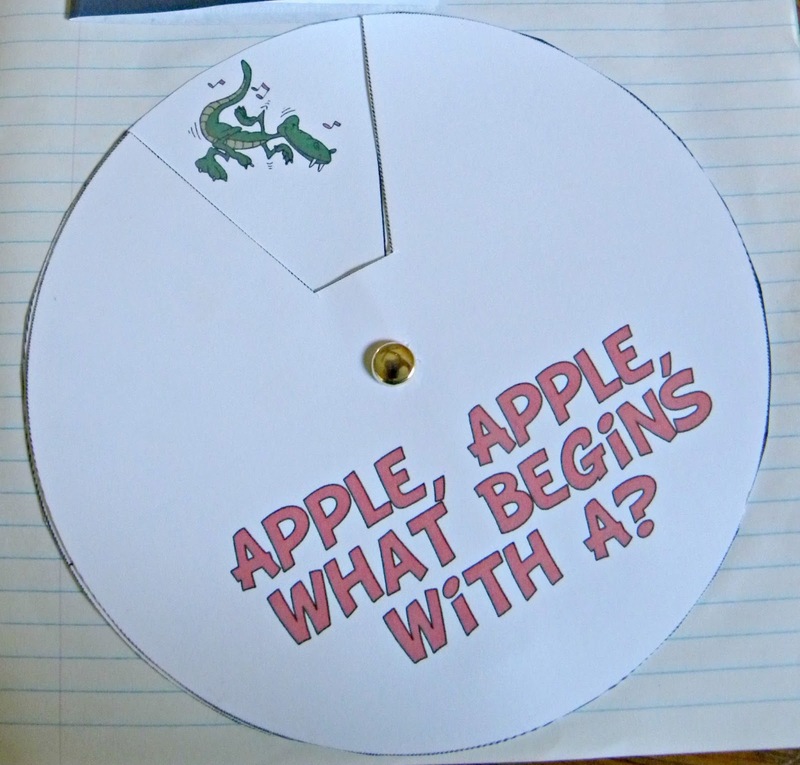 This week, we read, “How to Make an Apple Pie and See the World” (by Marjorie Priceman). First off, let me say that I love this book. 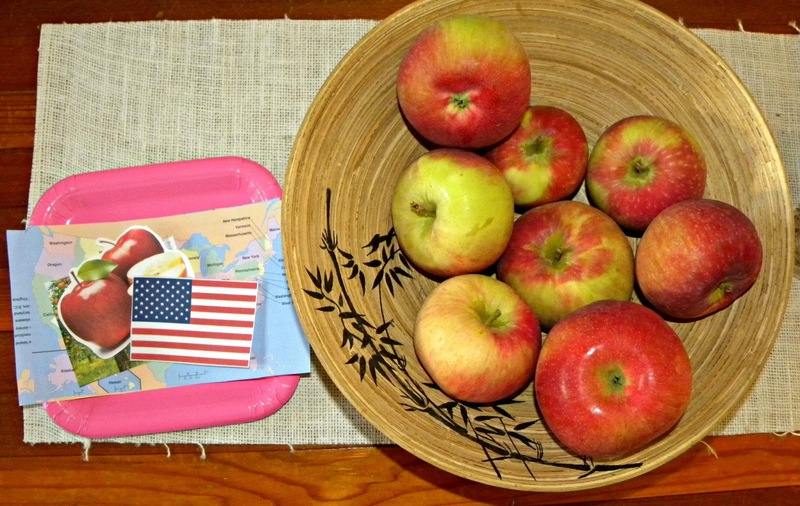 It’s about traveling around the world to gather ingredients to bake an apple pie, There are so many fun extension activities that you can do to go along with the book. Of course, you need apples. 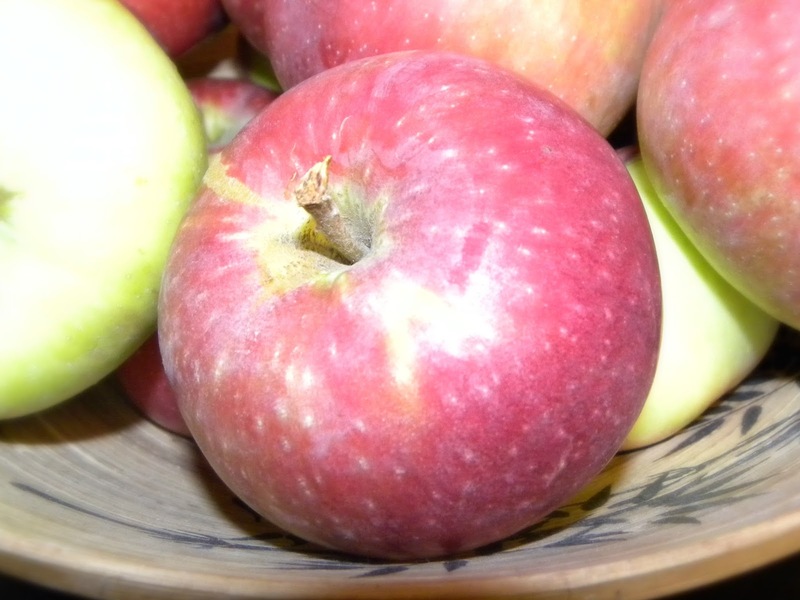 Preferably fresh, locally grown apples. Before embarking on our literature study, we took a trip to Bennett’s Apples (quick shameless plug: it’s an amazing place run by really sweet people) to pick out a big bag of Paula Reds. Mmmm! Our memory verse this week was, “In the beginning, God created the heavens and the earth.” Since we were going on a pretend journey around the world, we spent some time talking about how the world was made in the first place. We made a little book about creation out of construction paper, stickers and markers. As we read “How to Make an Apple Pie and See the World“, I pointed out various things mentioned in the book (ocean, wheat, chicken, apples) and asked the girls on which day God made those particular things. Then they drew pictures of them on the appropriate pages in their books with marker. We did a little activity (I believe it’s based on one from the FIAR manual) called “Me on the Map”. We’ll probably refer back to this many times in future. It gives the kids a sense of how cities, countries and continents work. We’ve been reading about Ontario this week, so this activity ties in nicely with what we’re learning about our province. 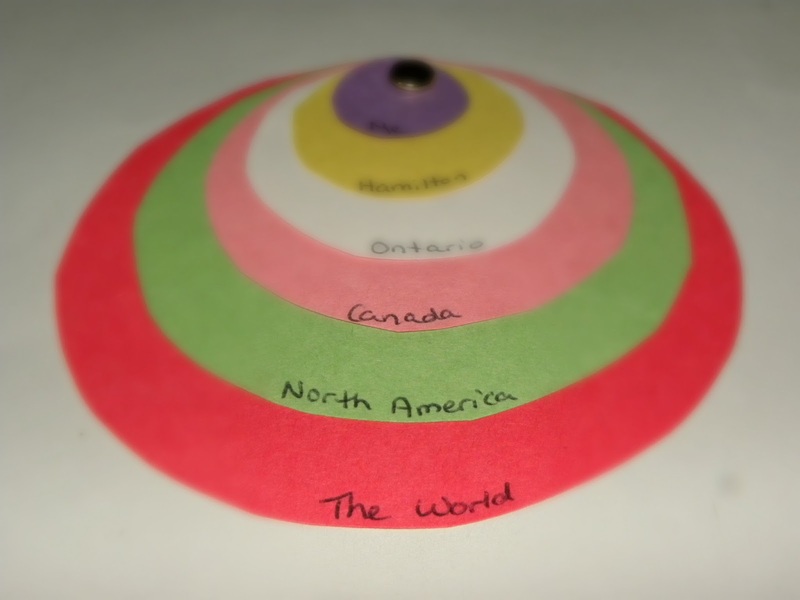 When the girls finished drawing on and putting together their “Me on the Map” circles, we glued them into a notebook (the bottom circle is glued down but the rest rotate so they can see what’s underneath). School Time Snippets inspired us to set up stations around the house with different activities, a flag, a country map and the ingredient from that particular place. 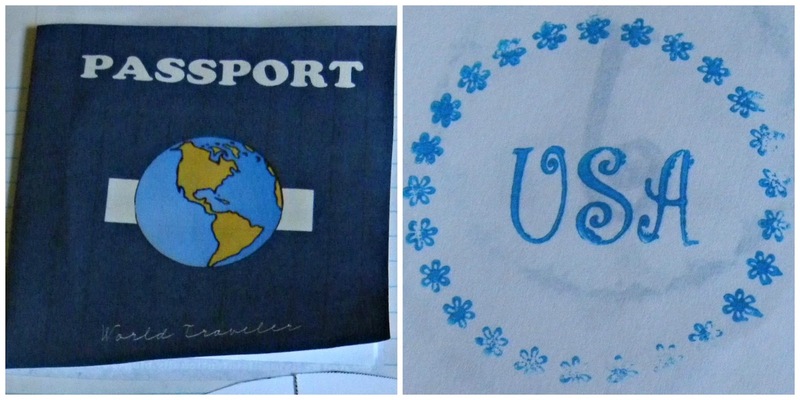 We used the free printable passport from This Reading Mama and “stamped” it at each country station. 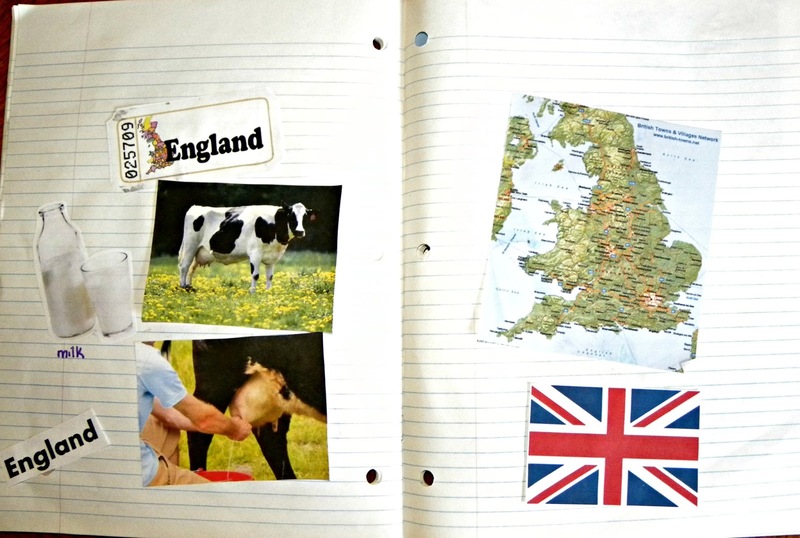 The girls glued the maps and information about the countries into their notebooks. 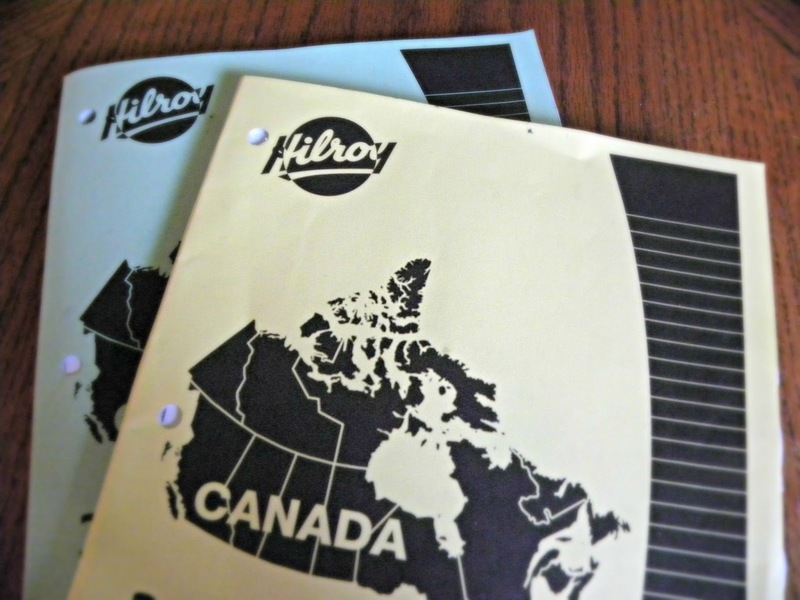 At the end of the activity, we also glued their passports into their notebooks. 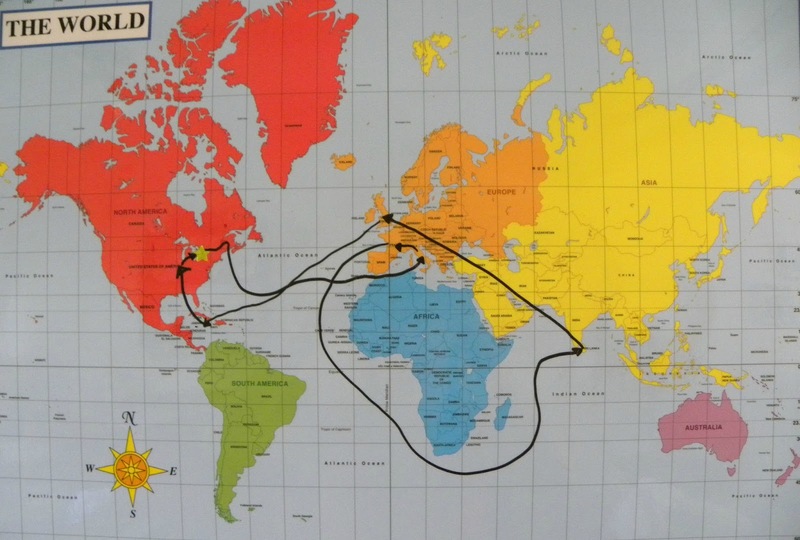 On our large laminated wall map, we drew arrows to mark our journey. Although we didn’t make playdough, we did talk a little bit about the letter “A” and the sound it makes. This fun little printout came from homeschoolshare.com and was a huge hit with my three-year old. 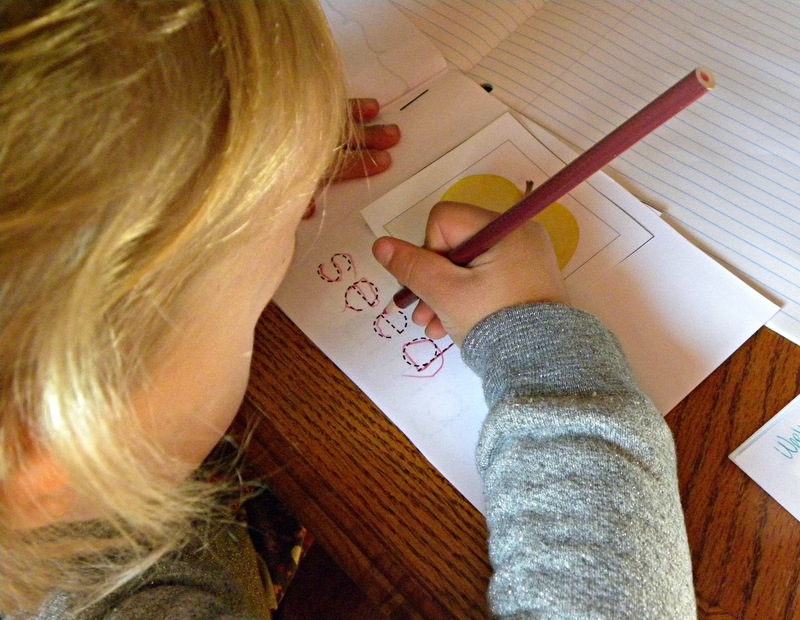 A couple of the activities in the homeschoolshare.com lapbook package had some copywork components, which was also helpful. I came across a math activity on Pinterest that looked fun so I replicated it at home. 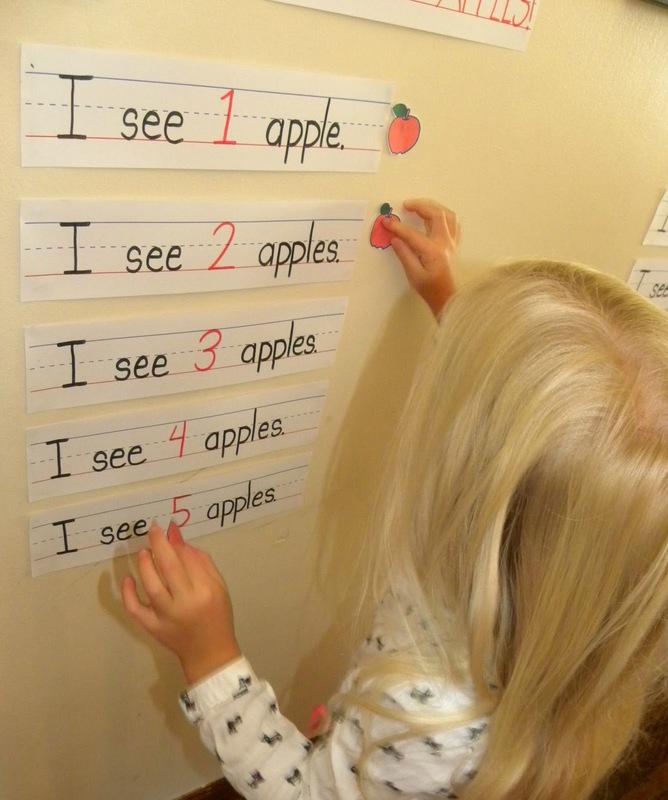 The idea is for the child to read the sentence and put the appropriate number of apples beside the sentence strip. 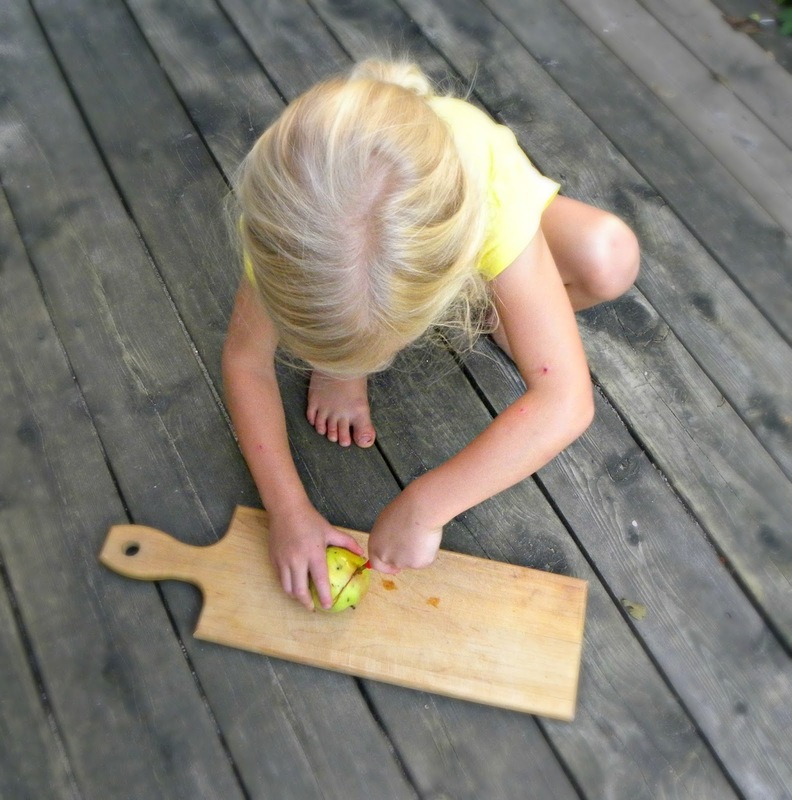 After cutting out 55 little apples, I was fine with never seeing another apple again. 😉 But the girls loved this game and that made it all worth it. We, of course, did our textbook math lessons in addition to all of this. 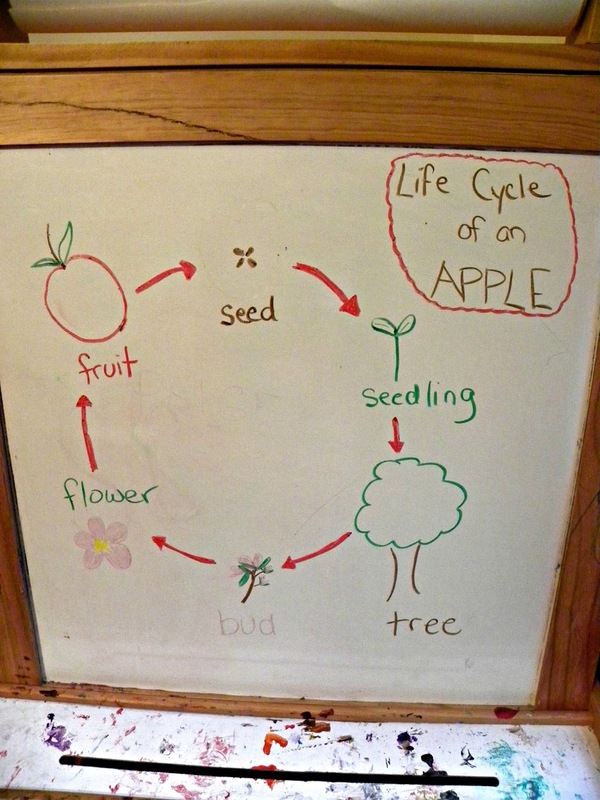 My five-year old made a giant poster of the life cycle of an apple (while my three-year old was supposed to be napping but didn’t…story of my life). She plans on entering it into the local fair. Both girls drew a smaller version for their unit notebooks as well. 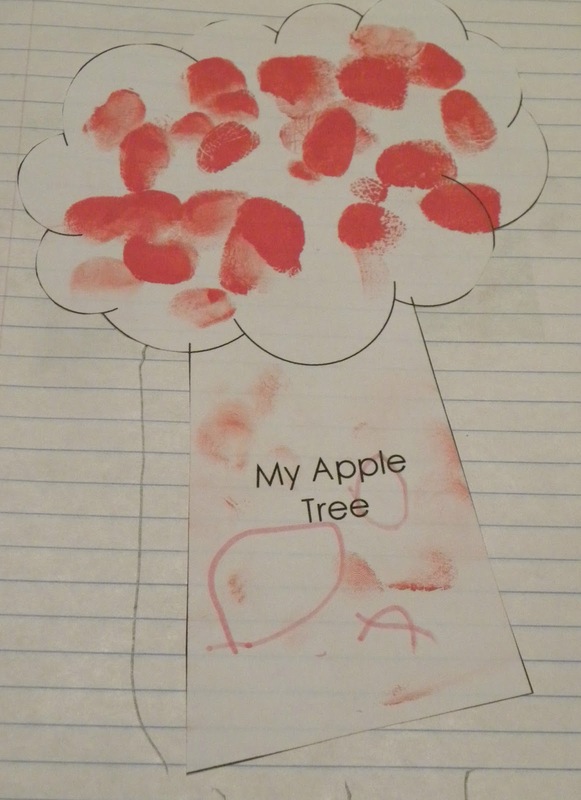 We also made fingerprint apple trees for the girls’ notebooks. The trees were part of a free package from homeschoolshare.com. 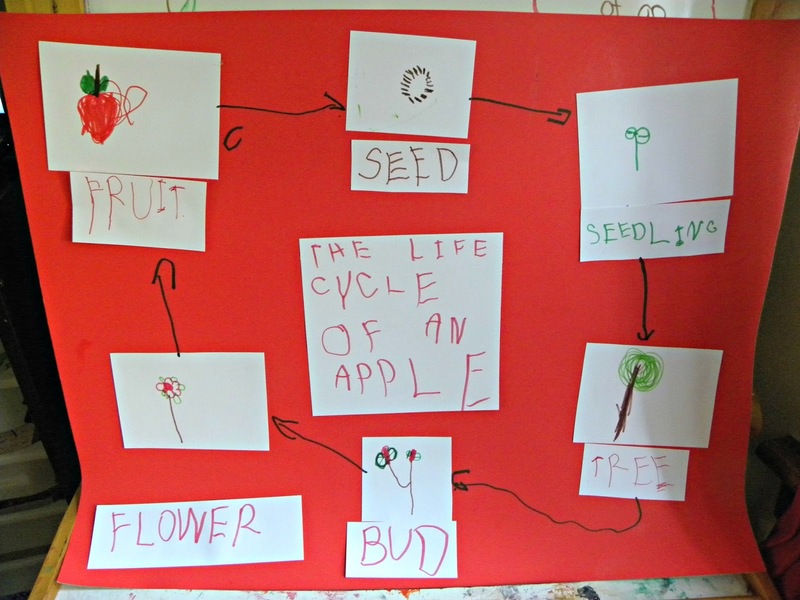 We used free printables from MPM School Supplies to talk about the life cycle of an apple. I also drew it on the easel so that we would have a visual in front of us all week. The girls loved this. 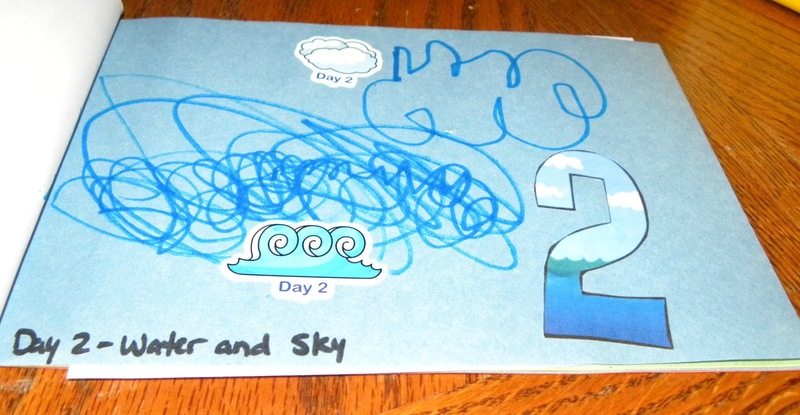 As mentioned previously, the girls drew a freehand version on their own for their books. We conducted an experiment to learn about saltwater (because the book How to Make an Apple Pie and See the World talks about evaporating sea water to get salt). At each country station (see the “Geography” section of this post), we learned a little bit about how that particular food is produced. For example, we watched a video on milking cows. 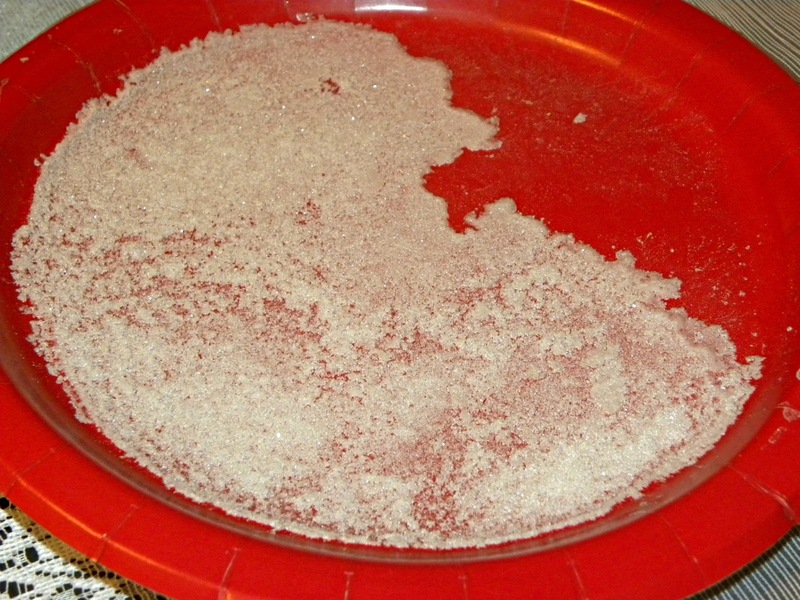 We also taste-tested cream, flour, cinnamon, cane sugar, and that salt pictured above. 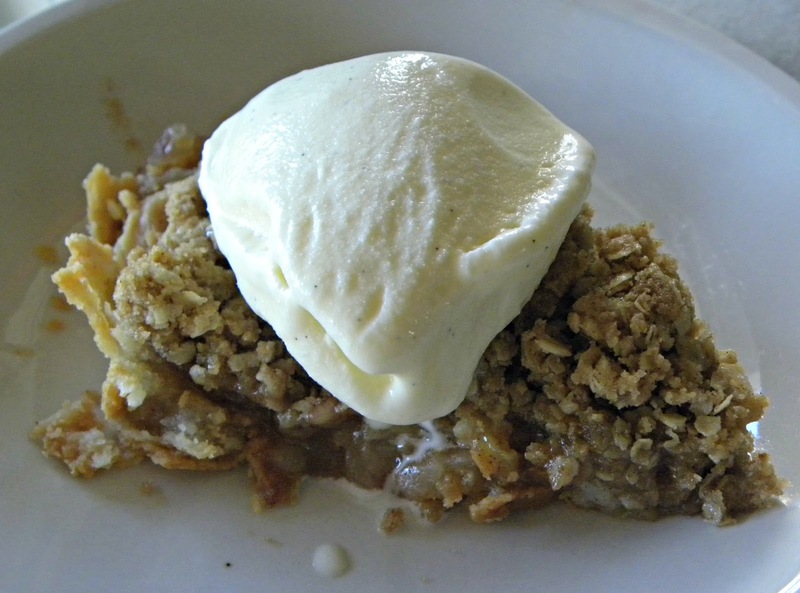 Baking a Pie … and Making Ice Cream! 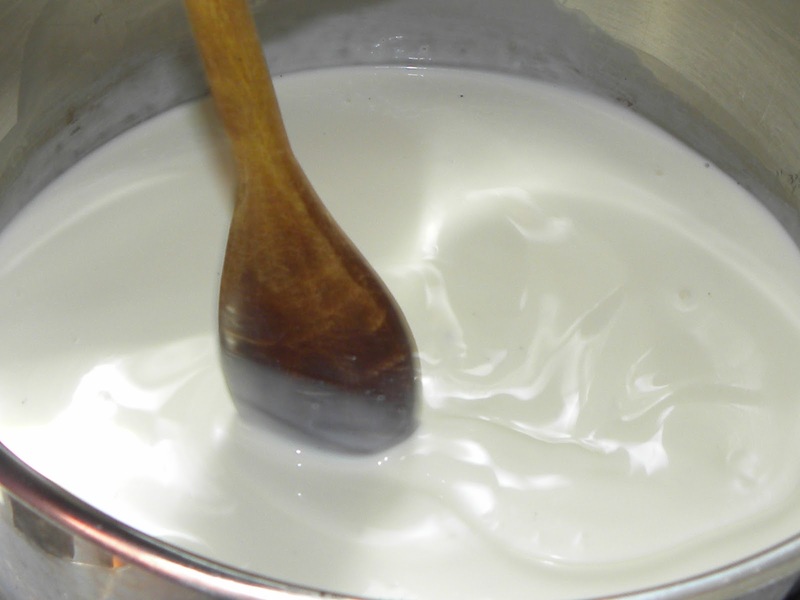 We have an ice cream maker so, mid-week, we made some homemade vanilla bean ice cream. It is so unbelievably delicious! Remember those Paula Reds I mentioned earlier? We used those to make a beautiful apple pie. (Actually two pies, but who’s counting?) 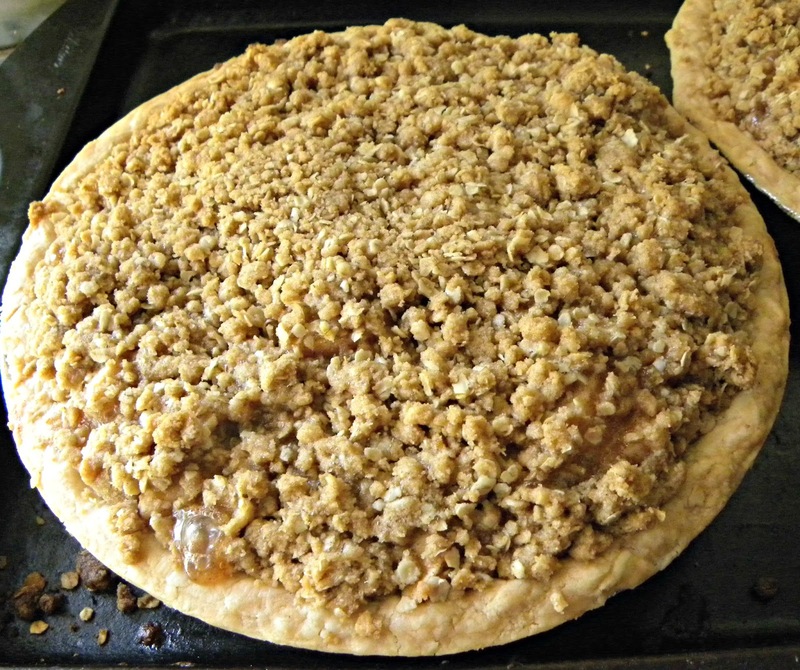 Mmmmm … Dutch apple pie with oatmeal streusel topping. 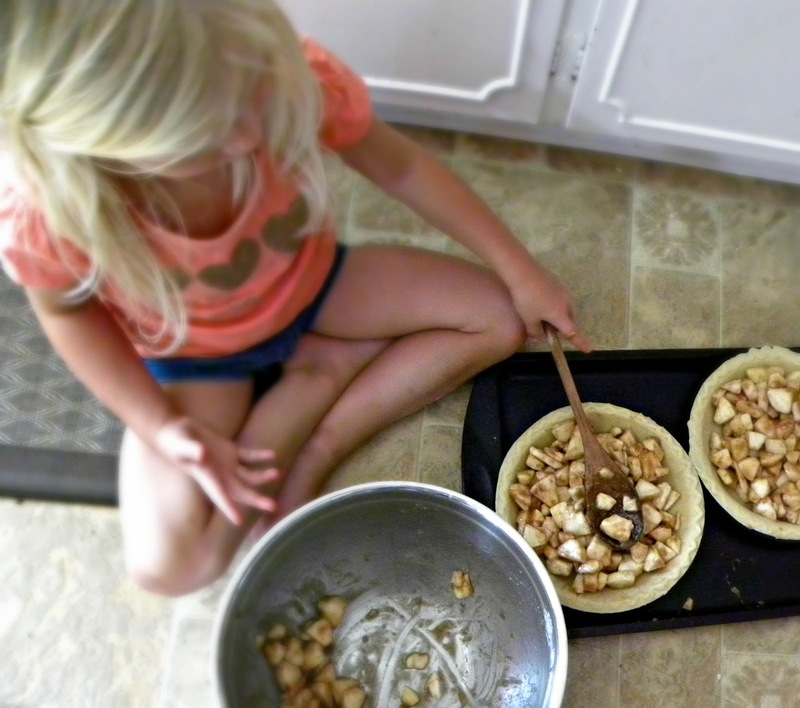 My daughter made the pies mostly on her own. We gave one away and served the other up with a side of homemade vanilla bean ice cream. 😉 What a yummy treat! By the way, if you were wondering why I’m posting about our week on Friday morning? It’s because Fridays are for field trips and fun. Today, we’re going hiking. Homeschooling has its benefits! Can’t wait until next week! It’s going to be jam-packed with even more amazing activities! 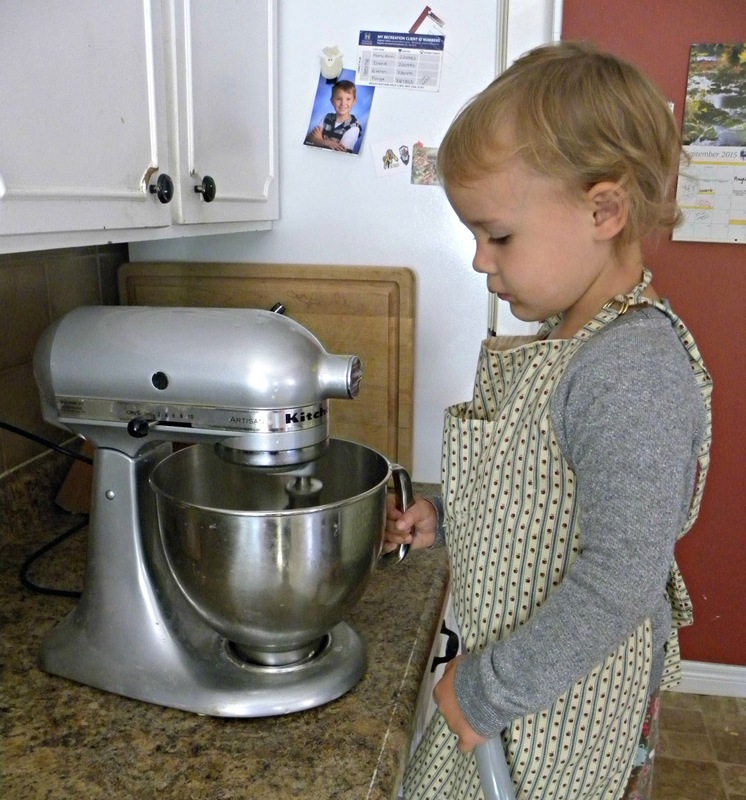 How to Make an Apple Pie and See the World is part of our 100+ Autumn-Themed Storybooks to Read to Your Child.